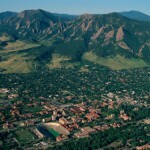 It’s time for the city of Boulder, Colorado to update its master plans for Waste Reduction. Boulder City Council updates it’s master plan every five years and the last update was in 2006. Boulder has been striving for a Zero Waste Master Plan over the years, and so the current issue of banning plastic bags is on the table. In regards to plastic and paper bag usage, the city is considering several options: An outright plastic bag ban, a $.10 to $.20 cent fee on any disposable paper or plastic bag, or full ban of plastic bags and a fee for paper bags. The Roaring Fork Valley is also considering these options, and Telluride has already banned the use of single use plastic bags and has implemented the $.20 cent fee on paper bags. 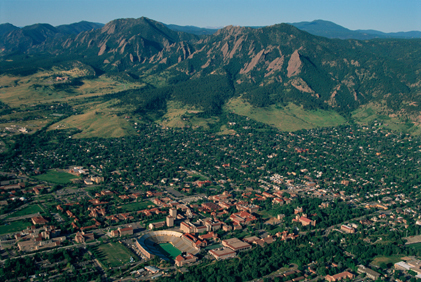 New Era Colorado is a non-profit organization in Boulder that was founded in 2006 by a group of college graduates that organizes and lobbies for political change in the legislative process. They are committed to engaging young people in current issues that affect our society today such as election accessibility, education, healthcare, equal rights, the economy and our environment. New Era Colorado is meeting with Boulder City Council members to push for the plastic bag ban. Eco friendly reusable bags distributed throughout Boulder retail stores can reduce the amount of single use plastic bags purchased by stores and thrown away by consumers by roughly 40-50 million per year according to Steve Fenberg, Executive Director of New Era. Custom reusable shopping bags made of Jute or Bamboo are completely biodegradable and leave a fraction of the footprint behind that plastic bags do. For more information on this story, go to the Huffington Post.